Two reporters from The Center for Investigative Reporting have been awarded the 2019 Selden Ring Award for Investigative Reporting for its look into modern-day redlining. Aaron Glantz and Emmanuel Martinez exposed mortgage discrimination that black and Latino borrowers face throughout the country. The Selden Ring Award, handed out annually by the University of Southern California’s Annenberg School for Communication and Journalism, recognizes the country’s top investigative work that leads to direct change and impact. The reporters’ investigation, Kept Out, was based on a yearlong analysis of 31 million mortgage records. Reveal found that in 61 cities across America, people of color were more likely to be turned down for a conventional home loan, even when they made the same amount of money, tried to take out the same size loan and wanted to buy in the same neighborhood as their white counterparts. The investigation was part of a much larger multiplatform series and collaboration. With co-producer PRX, Reveal created an hourlong radio documentary, which aired more than 470 public radio stations. The investigation aired as a two-part series on PBS NewsHour. The Associated Press independently verified Reveal’s data analysis and distributed the data findings and stories to dozens of newsrooms across the country. The city of Philadelphia, where Reveal based much of its reporting, launched a public-private partnership to give a second look at denied home loan applications from people of color to be sure that they are not being wrongfully turned down. Pennsylvania’s state treasurer and attorney general announced separate investigations to probe discriminatory practices in mortgage lending. Attorneys general in Delaware, Illinois, Iowa, Washington and the District of Columbia also are looking into the matter. JPMorgan Chase announced a major expansion of branches in Philadelphia and Washington, D.C., after Reveal reported that it was sidestepping federal regulation under the Community Reinvestment Act by maintaining a “private bank” office but no branches for the general public. A day after Reveal reported that TD Bank had none of its 33 Philadelphia metro branches in a majority-black neighborhood, the bank filed paperwork with the federal government to open a branch in Philadelphia’s West Kensington neighborhood, which census records show is 70 percent Latino and 26 percent African American. The Selden Ring Award judges also recognized the work of two finalists. The Philadelphia Inquirer’s Toxic City Sick Schools focused on how students in the Philadelphia school system were being exposed to asbestos and lead. Alabama Media Group and The Birmingham News were recognized for Alabama’s Beach House Sheriff. The series of stories exposed how a local sheriff used money designated for food for inmates for his own personal gain. Last year, Reveal’s All Work. No Pay. investigation was a finalist for the Selden Ring Award. Reveal, heard on more than 470 public radio stations weekly and as a podcast, is produced by The Center for Investigative Reporting and PRX. Founded in 1977, CIR is the nation’s first nonprofit investigative newsroom. 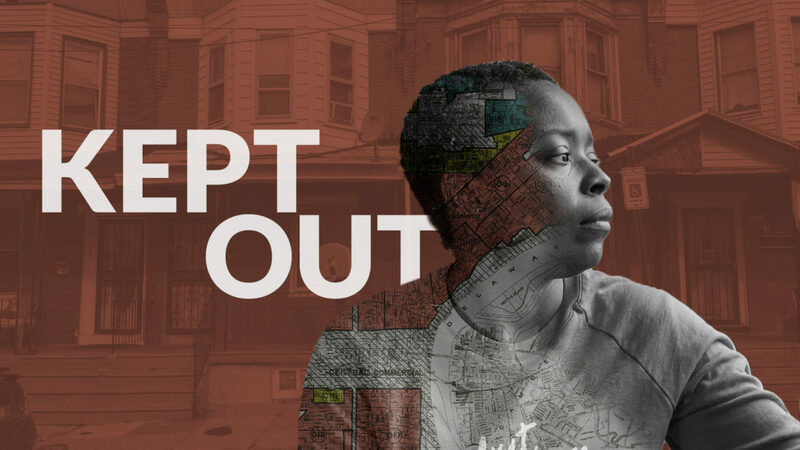 The city of Philadelphia, where Reveal based much of its reporting, launched a public-private partnership to give a second look at denied home loan applications from people of color to be sure that they are not being wrongfully turned down. Pennsylvania’s state treasurer and attorney general announced separate investigations to probe discriminatory practices in mortgage lending. Attorneys general in Delaware, Illinois, Iowa, Washington and the District of Columbia also are looking into the matter. U.S. Sen. Elizabeth Warren of Massachusetts introduced a bill that would provide billions of dollars in down-payment assistance to residents of redlined neighborhoods to address the issues identified by Reveal’s reporting. One racial justice advocate said it would be the first law since 1968 “to redress a century of housing discrimination.” JPMorgan Chase announced a major expansion of branches in Philadelphia and Washington, D.C., after Reveal reported that it was sidestepping federal regulation under the Community Reinvestment Act by maintaining a “private bank” office but no branches for the general public. A day after Reveal reported that TD Bank had none of its 33 Philadelphia metro branches in a majority-black neighborhood, the bank filed paperwork with the federal government to open a branch in Philadelphia’s West Kensington neighborhood, which census records show is 70 percent Latino and 26 percent African American. About Reveal Reveal, heard on more than 470 public radio stations weekly and as a podcast, is produced by The Center for Investigative Reporting and PRX. Founded in 1977, CIR is the nation’s first nonprofit investigative newsroom.